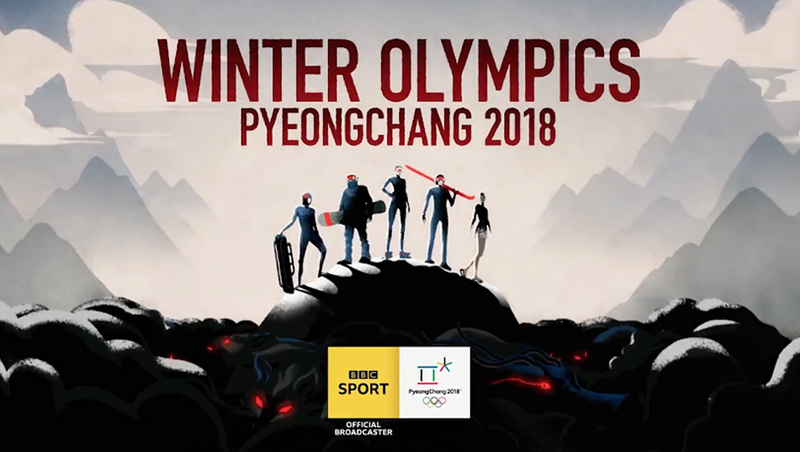 BBC Sport is using an animated open with a distinct illustrative style featuring surreal artistic elements for its PyeongChang Olympics coverage. 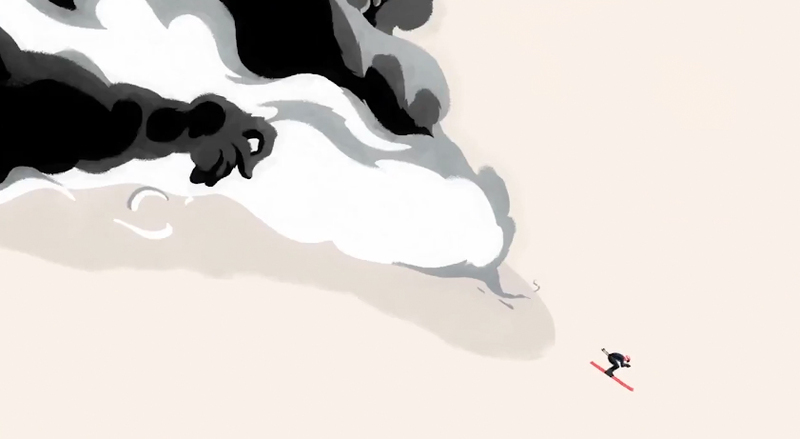 The open begins with a downhill skier, who takes off down the slopes with a cloud following. 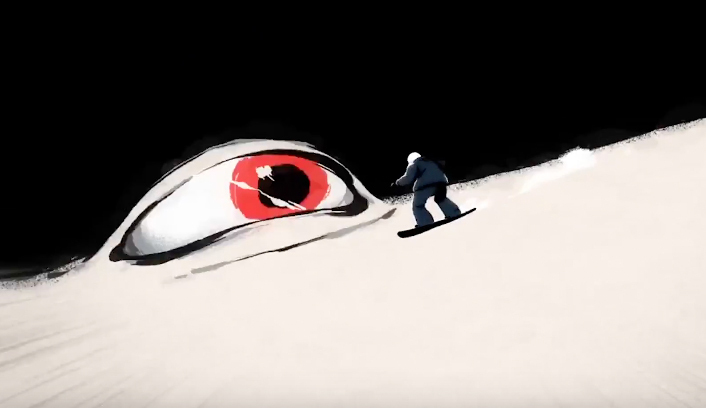 As the skier races away, hand shapes appear and disappear at the edge of the billowing cloud, suggestive of someone or something chasing the athlete and trying to “grab” him or her. Later, another athlete meanders around mounds of snow with eyeballs on an obstacle course and tentacle-like arms break through the ground and encircle others. Finally, the open ends with five athletes standing atop a boulder-like mountainscape. The open features mostly black, white and tan colors along with textured brushstrokes, but also mixes in hints of the network’s trademark China red color, despite the sport’s division switch to a mostly yellow color palette. The surreal style of the open draws on a blend of folklore and art as well as the styles of surrealism artists from around the world. 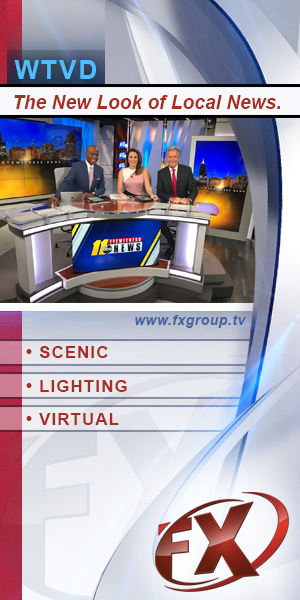 During its coverage, BBC uses its new graphics package, which is powered by Vizrt.